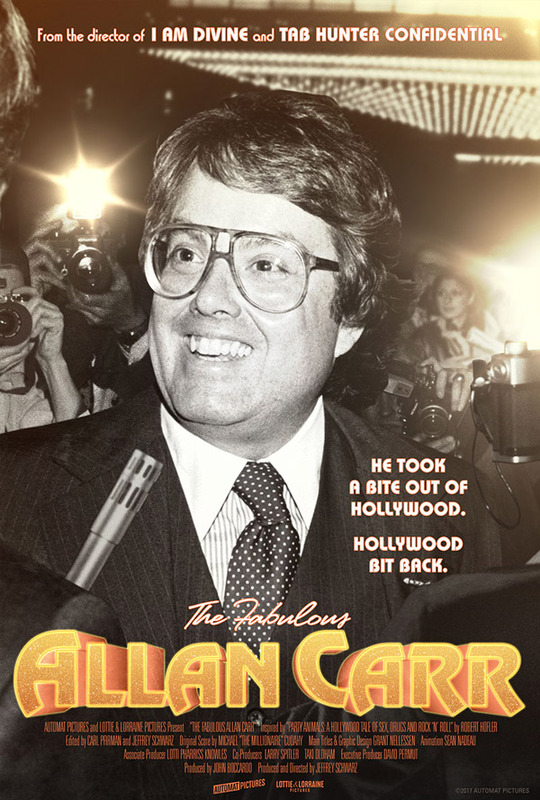 Director Jeffrey Schwarz (VITO, I AM DIVINE) returns with this fascinating look at Allan Carr, one of the most extravagant Hollywood figures of the 1970s and 80s. The film charts Carr’s rise from talent manager to megastar producer of "GREASE," before he perpetrated the box-office blunders "CAN’T STOP THE MUSIC" and "GREASE 2," as well as the disastrous 1989 Academy Awards ceremony. Featuring new interviews and archival footage of Carr’s legendary parties, this portrait of a showbiz legend is both hilarious and deeply sympathetic.